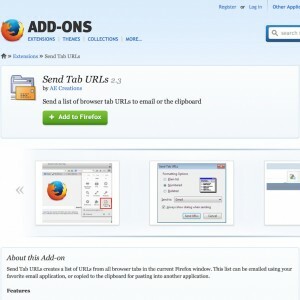 This Firefox Add-on came in really handy when Mozilla decided to remove one of my favorite features ((tab groups, RIP)[https://support.mozilla.org/en-US/kb/tab-groups-removal]). It, very effectively, will export all of your open tabs - exactly what I needed to grab my dozens of tabs across my handful of different tab groups (one tab group for the different way I was using my web browser at the time - super handy). So, long Firefox - I've had enough of you, and have been using Safari instead - it works perfectly between all of my devices, and doesn't feel like bloatware.